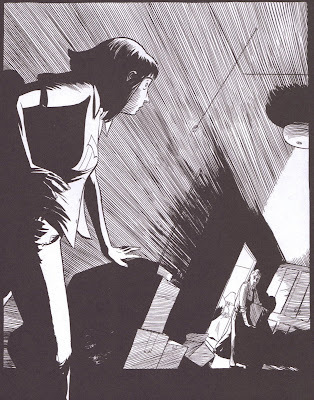 211 Bernard: Don't Miss "Swallow Me Whole"
Don't Miss "Swallow Me Whole"
Nate Powell's beautiful graphic novel is the strange tale of a brother and sister. 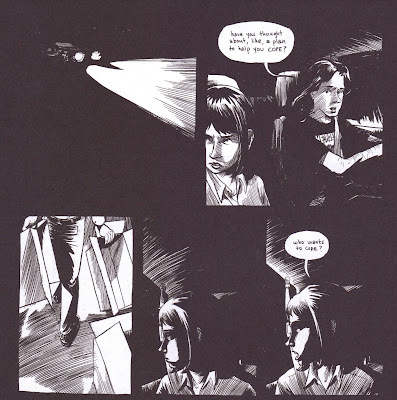 Powell uses black and white inking in all manner of perspective and obfuscation to render Ruth and Perry's unusual trials from childhood through young adulthood. Ruth is obsessive compulsive. Perry is schizophrenic. This debut graphic novel is as odd as a romp through either of their brains would be. Powell's paneling and use of the page are like Marvel action comics on serious barbiturates...with an injection of art school sensibility and an unconventional narrative to prop it all up. 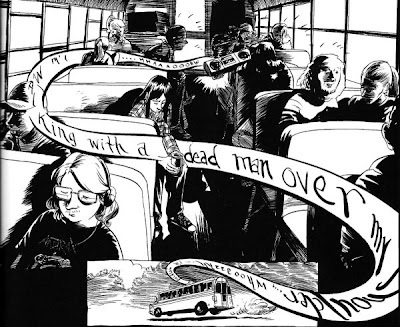 Powell won the Ignatz Outstanding Artist Award this year, previously held Jaime Hernandez (of "Love and Rockets" fame) and by Drawn and Quarterly's own David B ("Babel").